What’s important to you about Alberta’s fisheries? Your values are an important part of the shared responsibility and management of our province’s fish populations and aquatic habitats. Let us know what you think by participating in the surveys below. 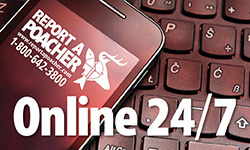 Click here for your nearest Fish & Wildlife office. 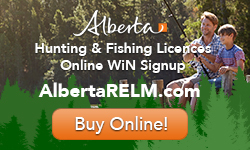 This website is neither a legal document nor a complete listing of current Alberta Sportfishing Regulations. 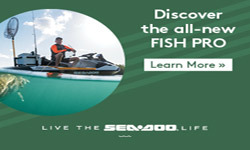 It is a summary of the federal and provincial fishery regulations and is intended to assist those interested in sportfishing. In case of a discrepancy between the information presented in this online version of the guide and the printed (hardcopy) version, the official online version shall have precedence. The official Statutes and Regulations should be consulted for all purposes of interpreting and applying the law. Clarification of the regulations may be obtained from your nearest Fish and Wildlife Office. Provincial Statutes and Regulations, in print or electronic format, are available through the Queens Printer. 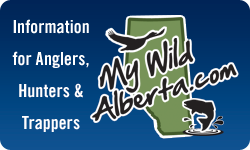 The Alberta Guide to Sportfishing Regulations is published annually by Sports Scene Publications Inc. The guide can also be downloaded and printed in the Portable Document Format (pdf) from the Alberta Regulations website.